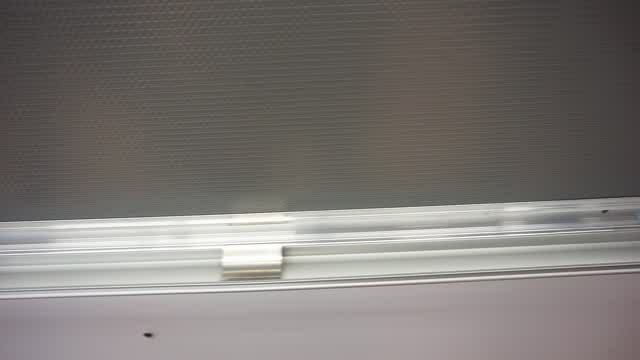 These Picture Frames Include Mounting Hardware! 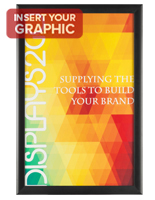 These Picture Frames Snap Open & Closed To Make Displays Easy To Set Up And Change! 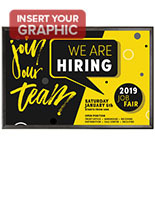 27" x 40" 27" x 41" 30" x 40" 36" x 48"
Picture Frames With Snap Sides And Black Finish 24" x 36"
Snap open picture frames, also called fast clip sign holders, incorporate a high-quality metal frame with a matte black finish to be utilized in numerous indoor places. A slim profile and masked wall mount holes make these snap open picture frames a perfect purchase at such a low, low price. 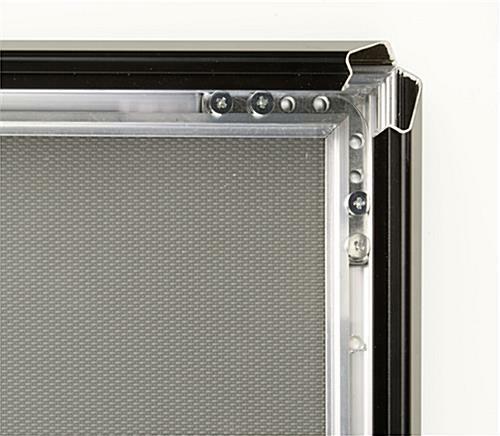 To make it easy for you, we supply each snap open picture frame with wall mounting screws and anchors. 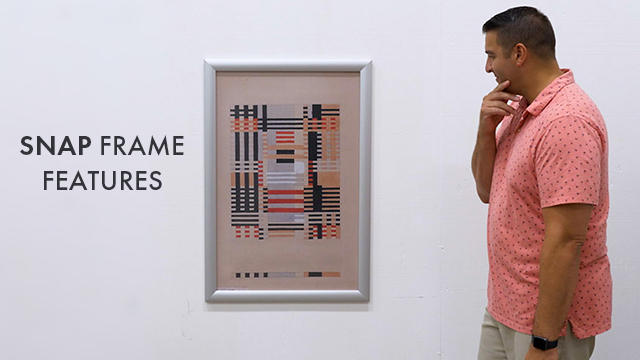 These snap open picture frames can also be mounted both vertically and horizontally, contingent on the orientation of the artwork. Note: Please allow for a 1/2" border around your complete poster, as this location will be covered by the frame edges. 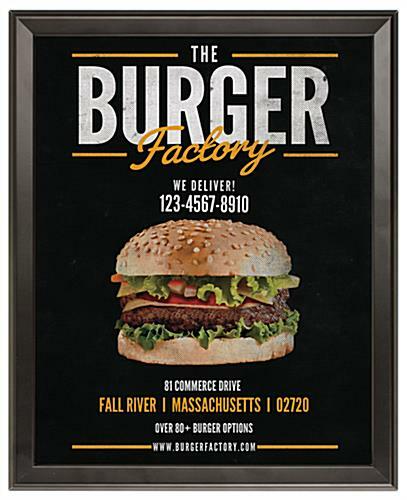 Snap open picture frames are perfect to be utilized in a many locations. 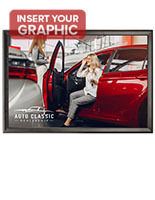 One of our best selling frames, snap open picture frames employ four hinged sides that merely flick open and close in a snap. 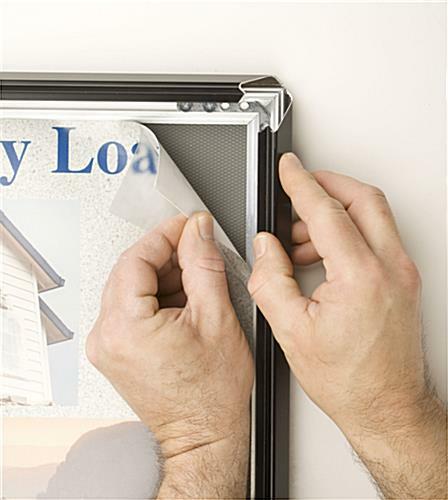 This permits you to quickly change posters , without having to remove your frames from the wall! 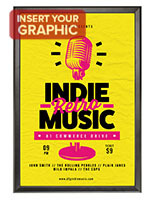 We supply the snap open picture frames with a non-glare lens to prevent damage to your posters, and likewise to prevent glare that would hinder onlookers from viewing your media content. 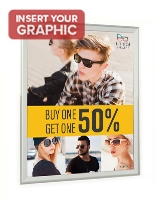 To replace posters, merely snap open all four sides of the frame and place your poster in the back of the non-glare lens. 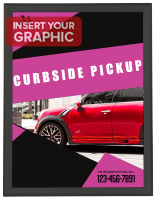 Once you advertisement is in place, merely snap all four sides of the frame closed, and your posters will be secured in place!